11. 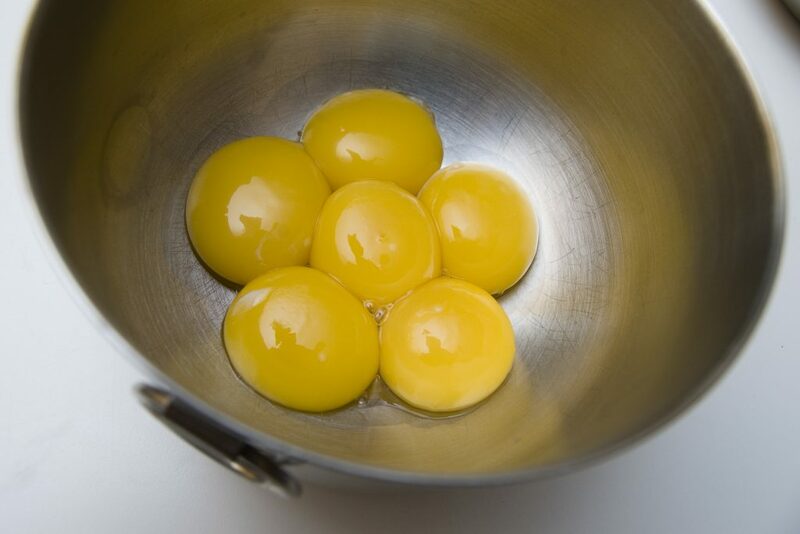 Separate the eggs and yolks into two bowl. 12. Add the pepper to the bowl with the whites and stir until blended. Pour the whites evenly over the tart, avoiding the edges, sprinkle with parmesan cheese.